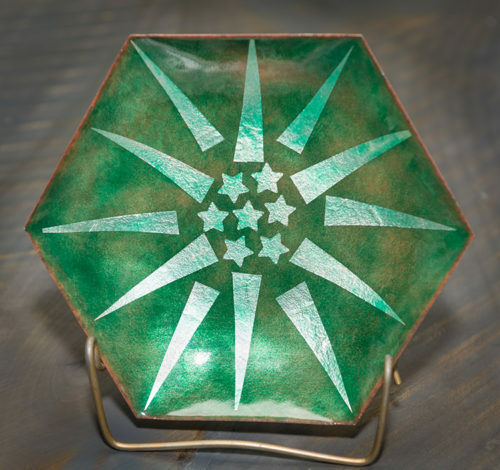 After the copper is cleaned in an acid bath, it is fired multiple times in a kiln with temperatures ranging between 1850 and 2000 degrees with the desired colors and design. 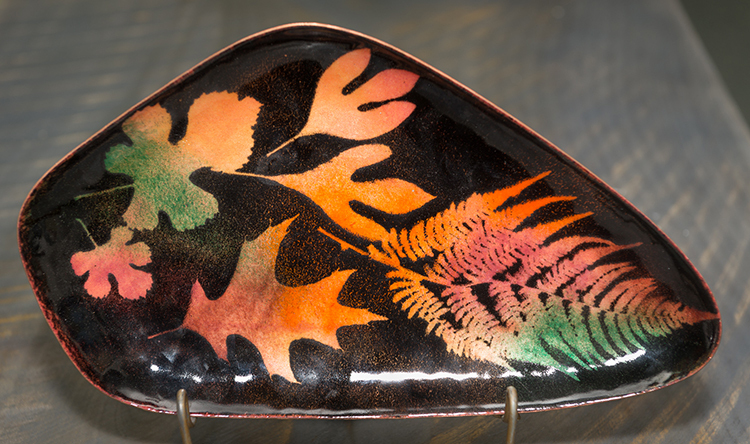 Each piece is fired about two minutes, taken out, cooled and re-fired with additional colors. 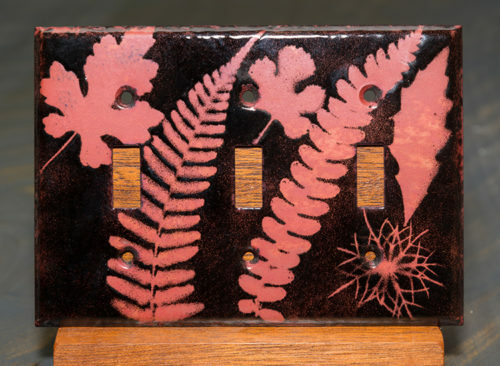 I use forms for jewelry, switch plates, bowls, dishes, etc. 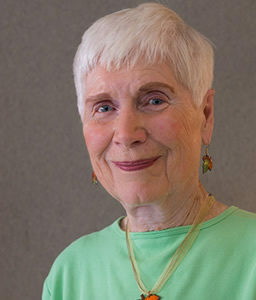 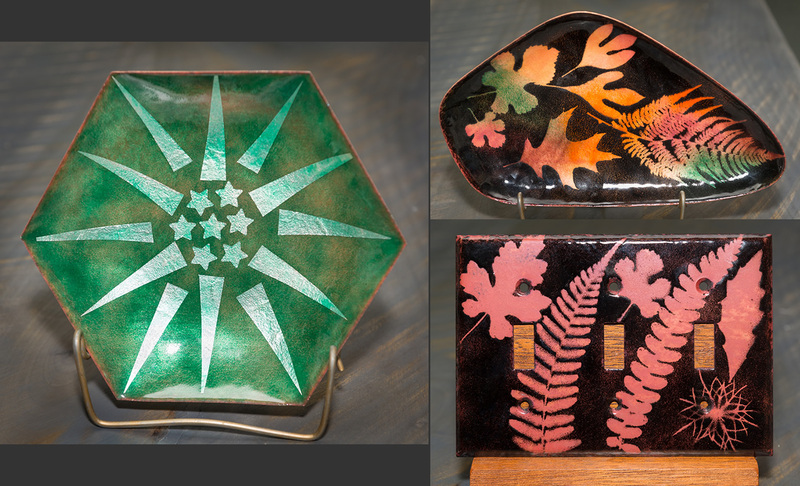 I began enameling years ago as an apprentice to Maggie Masters, who later became director of the John C. Campbell Folk School, Brasstown, NC. 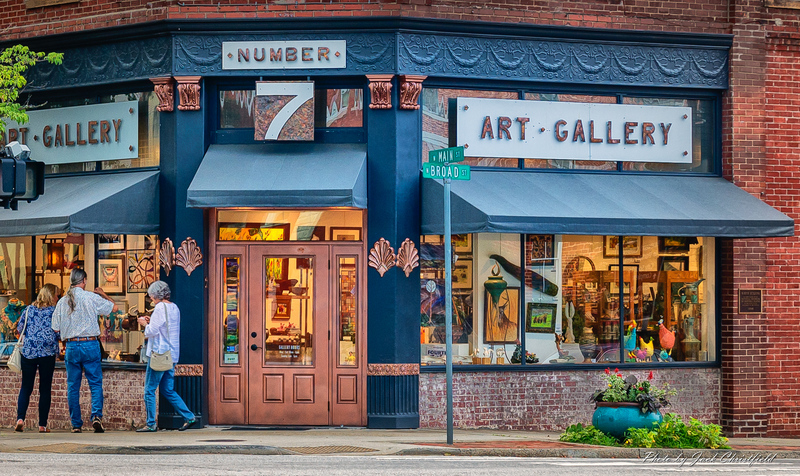 I began exploring the craft on my own, taking workshops at the Folk School, the Arrowmont School, Gatlinburg, TN, as well as reading multiple books on enameling. 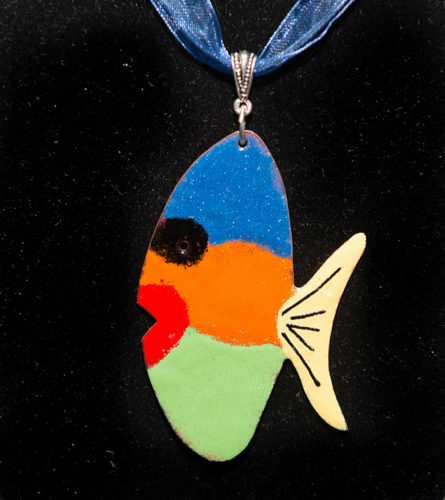 Enameling is an ancient art, and after many years I still consider myself a novice. It is always thrilling to take a piece from the kiln and watch the colors emerge as it cools.